If you’re an avid car fanatic or an experienced mechanic, you’re likely inclined to enjoy experimenting with your car from time to time. Sometimes these can involve grueling and lengthy modifications that require a great deal of skill and know-how and help to increase the performance of your vehicle a great deal as you race along. Sometimes they’re only superficial modifications or upgrades that still require a great deal of precision, but only help your car to stand out more, if anything. However, every now and then, there are modifications that totally flip everything on its head! They exist purely to make us laugh, cry or simply wonder – why? When Youtube user Bug BMX decided to try his hands at a zany experiment, he had no idea how viral his video would become. 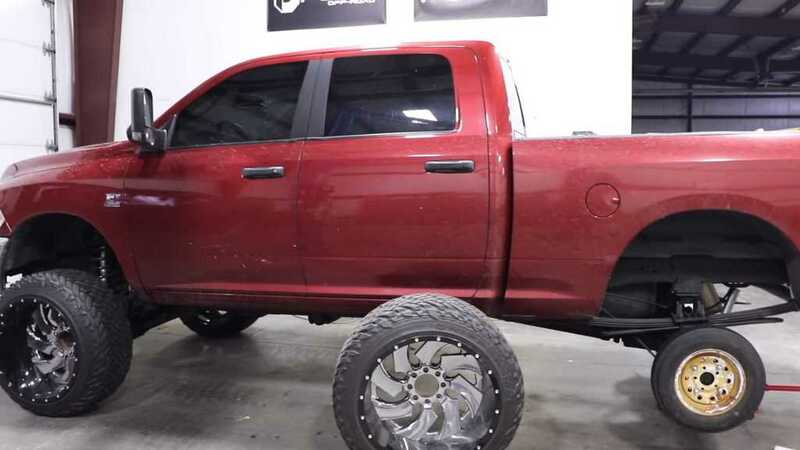 The concept was simple: replace the pre-existing 24-inch wheels that he had on his Ram pickup truck with the tiniest possible wheels that he could find. The result is utterly hilarious. The 12-inch wheels with which he replaced the original tires look as though they came off a utility trailer and could easily fit inside the rim of the original wheels themselves. Just looking at this thing reminds one of some kind of surrealist Dali-inspired cartoon. While fitting the tires onto the truck, the designer had to make a few mechanical estimations. 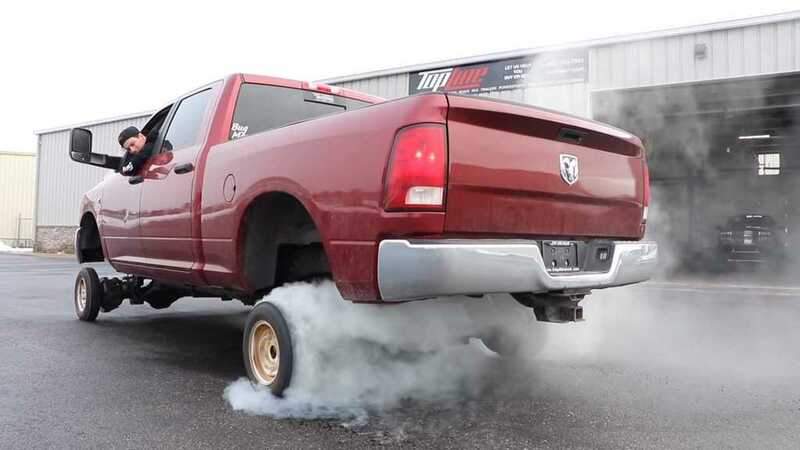 In the first place, he assumed that the tires would simply buckle under the weight of the 20-000 pound truck. However, with a few minor calibrations, the wheels were fitted and managed to hold up under the weight of the truck. 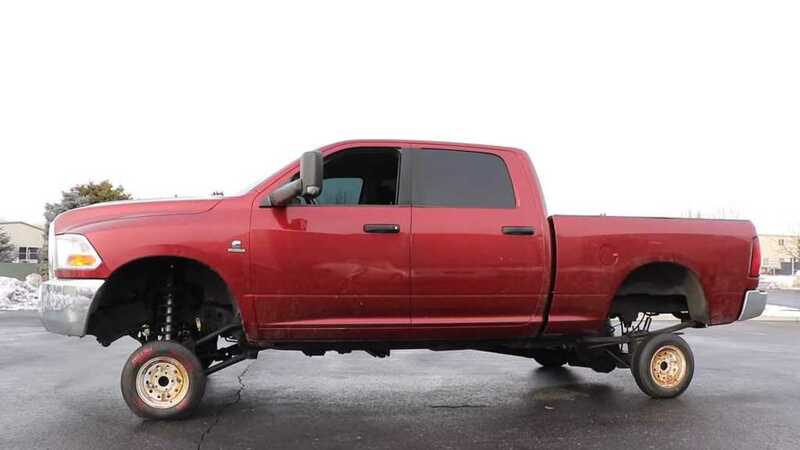 The videos of him test driving this thing around the parking lot are unbelievable and the wheel-spinning will definitely have you laughing hysterically. We highly recommend searching for the video online!